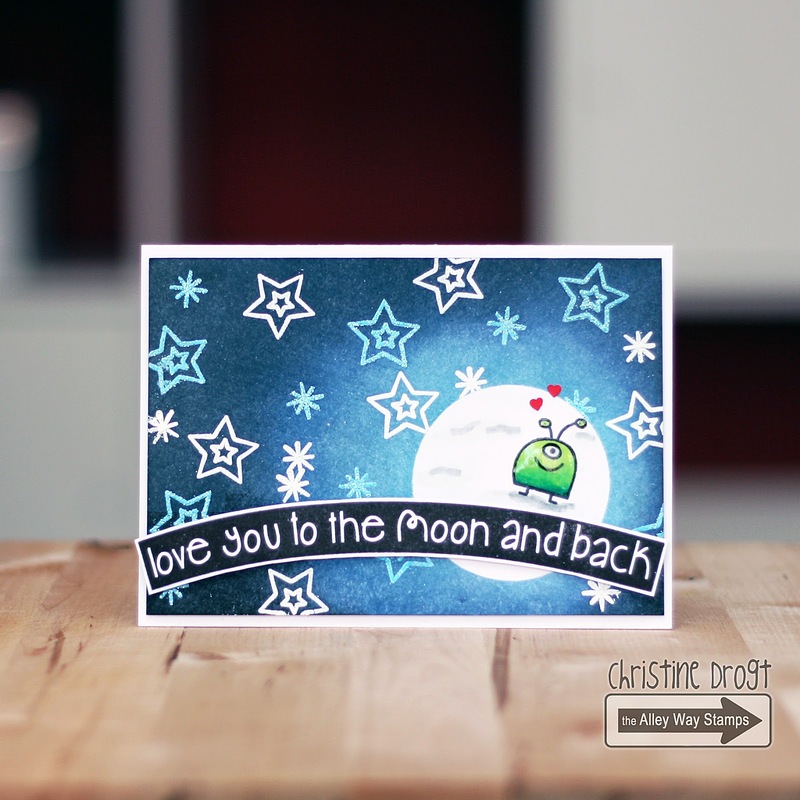 I used Christmas Express, Iconic and Meltdown along with the new sentiment set Out of this world. Hope you enjoyed the video. If you have any questions, let me know. eek! i love this!! what an adorable card!! the little galaxy scene you created is so cute!! 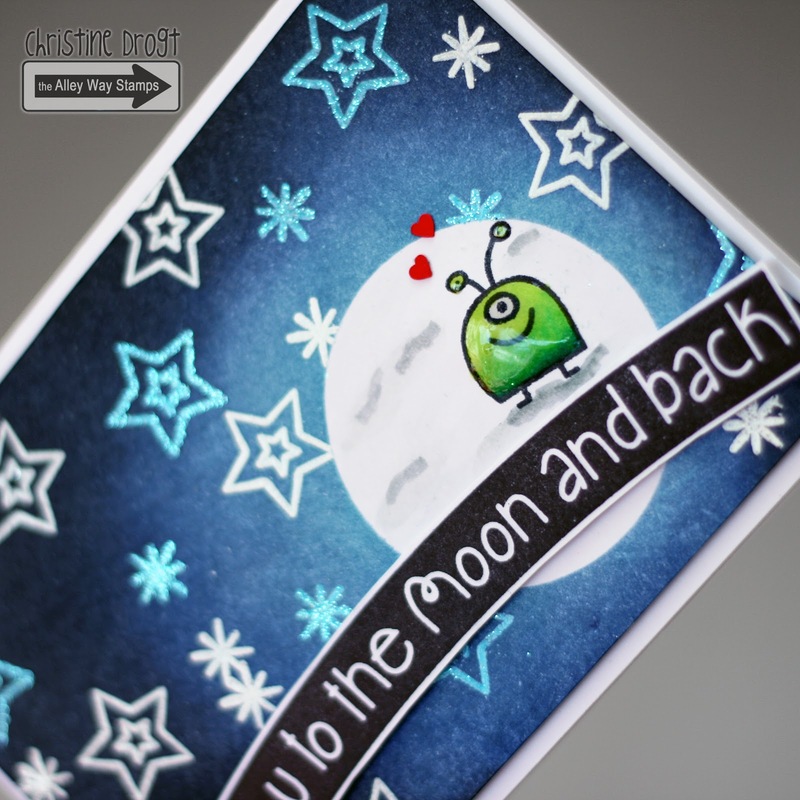 awesome emboss resist - it looks amazing! Oh, du hast eine neue Signatur! Die Karte ist zauberhaft - die kleinen Herzchen! Awesome card Christine love it.